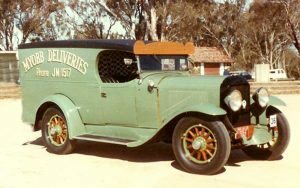 In 1929 when this vehicle left the showroom it was a Holden bodied standard tourer and enjoyed this gentle life until 1932. 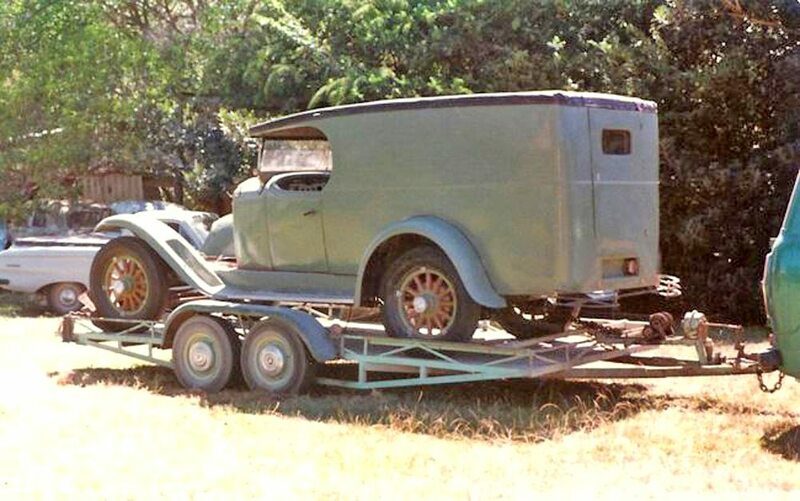 By then, at the height of the great depression, like so many other fine vintage cars it was sent to be converted into a working vehicle. 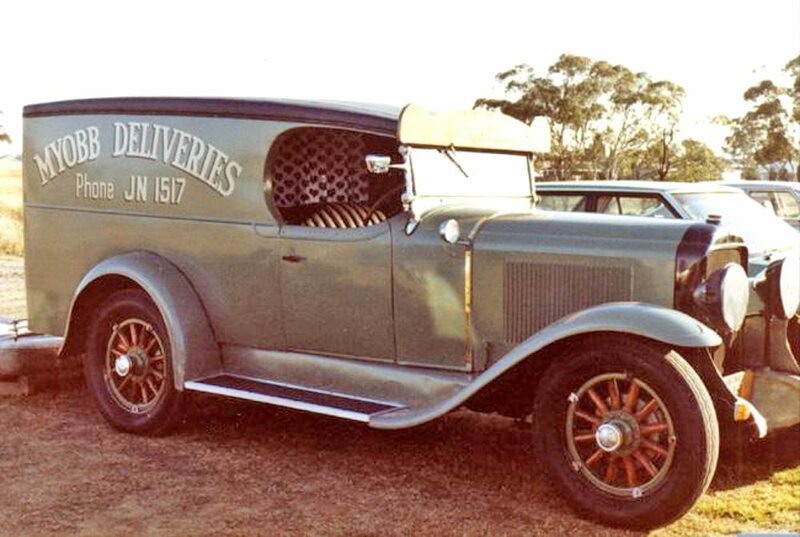 A local body builder at Wauchope on the mid-north coast of NSW was commissioned to remove the touring body and replace it with a delivery van body for use by the local baker. As can be seen in the photos the conversion was achieved to very professional coach building standards. 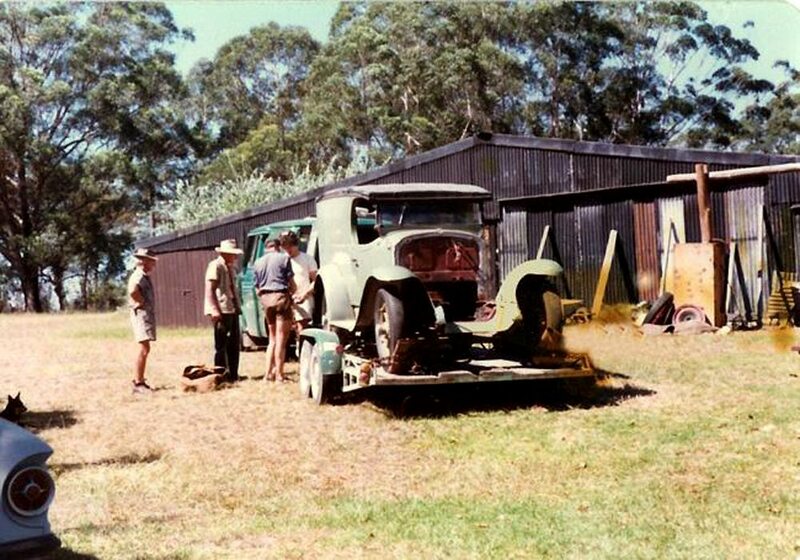 Now a worker it spent most of its commercial life in the Wauchope area and little is known about this period other than at the end the engine was removed and put to work powering equipment in a local timber mill, possibly in the 1950’s. 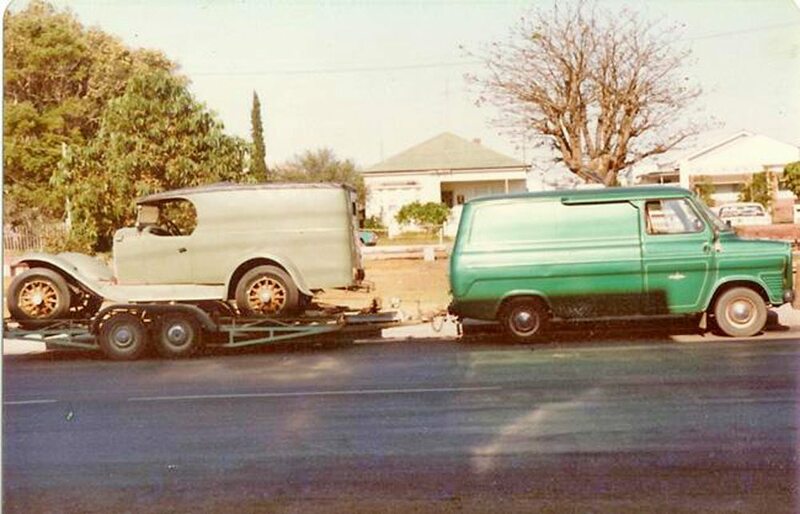 The remains of the van were salvaged by a collector who accumulated a large collection of old vehicles on his farm at a nearby coastal area. We purchased the Van less motor and gearbox. from this collector and brought it to Sydney. 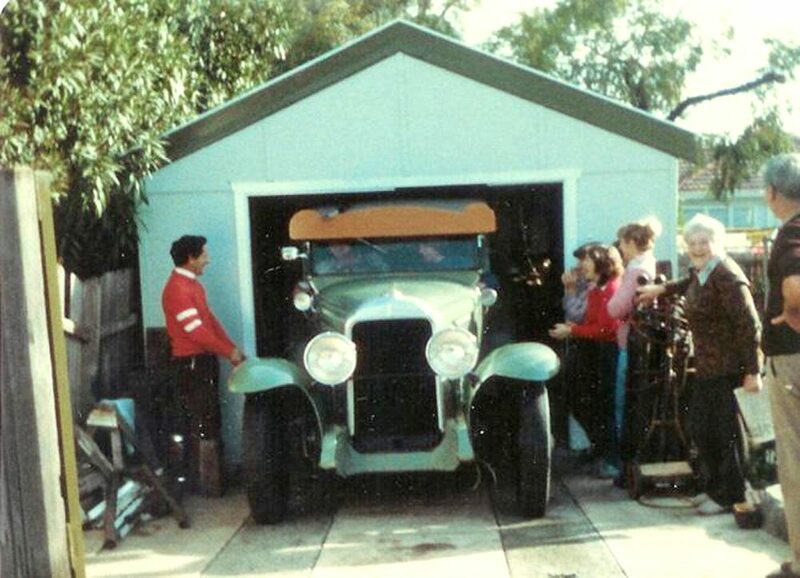 Then, in the late 1970’s, luckily we were able to purchase all the missing parts from a fellow who had them sitting in his shed for twenty years. 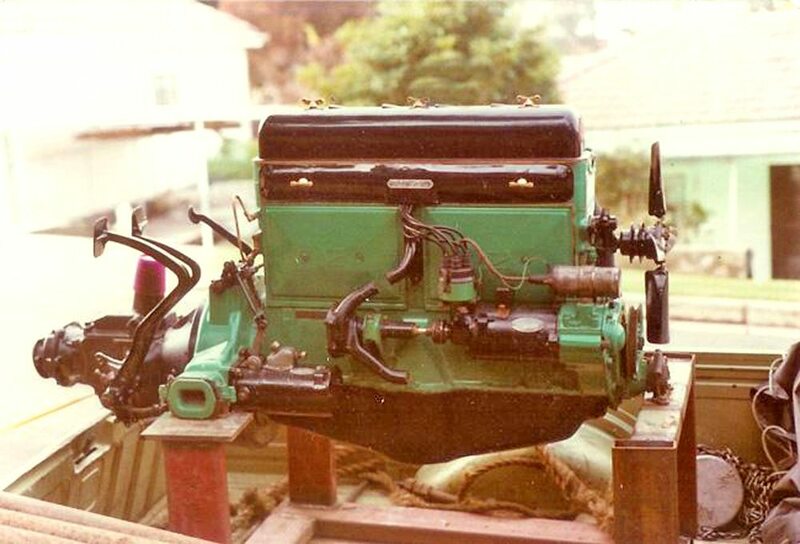 The motor and transmission had been used in the past to run a saw at the timber mill, and the guy said that is was OK when a larger unit replaced it in the 1960’s. We blocked all the obvious holes, water blasted it, painted it, drained the oil from both the engine and transmission, and installed it into the chassis. Then filed the engine and transmission with a very strong detergent and using 12 volts and with the coil disconnected and the spark plugs removed the, rear wheels of the ground, the transmission in second gear, we spun the engine for about 5 minutes. Letting the Van sit for a week, then repeated the process and removed the drain plugs and let it drain for another week. After the week had passed, we refilled the engine and transmission with oil, reinstalled the 6-volt battery and fired it up. Amazingly it went. On the outside we replaced the top and some of the electrical wiring, installed a blinker system and had the body sign written with MYOBB Deliveries (Mind Your Own Bloody Business and this was over 20 years ago before we heard of the computer software MYOB). 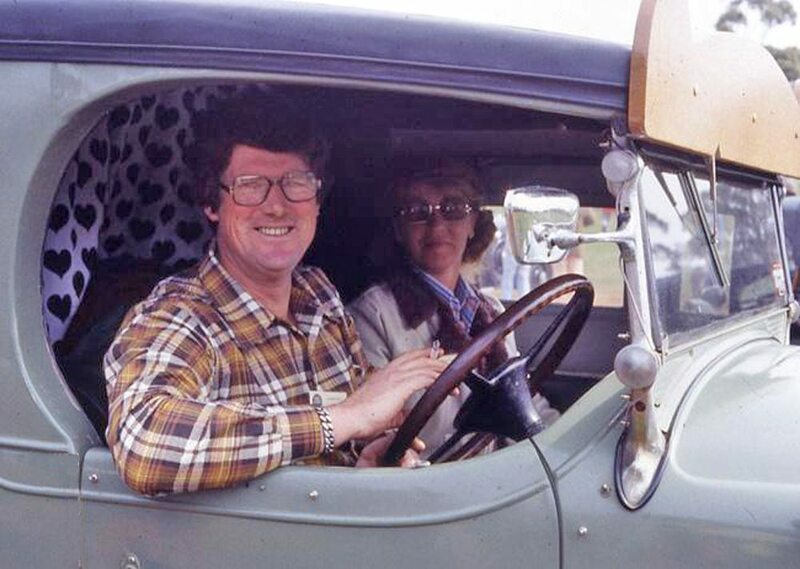 We successfully rallied the van for several trouble free years and it became well known for its special service in Buick Club events. 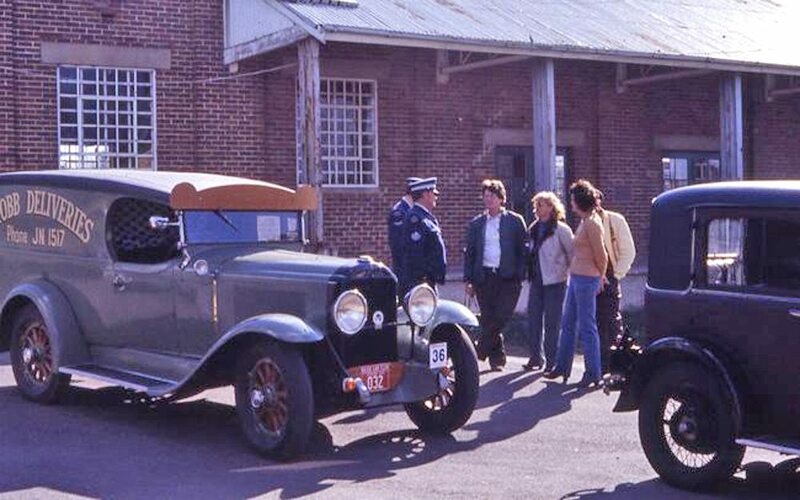 The ladies loved it because of its ability to transport many from the display areas to the toilet block and back, especially in inclement weather. 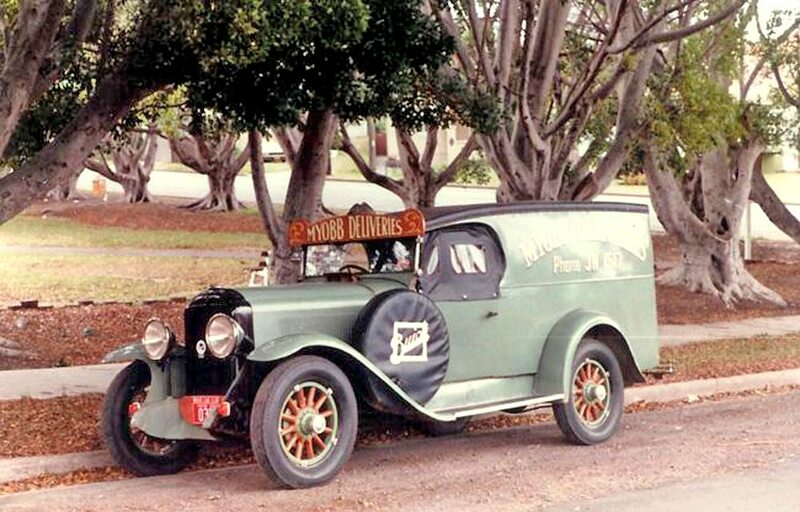 It reportedly once transported 14 from the motel to the pub at Coonabarabran. 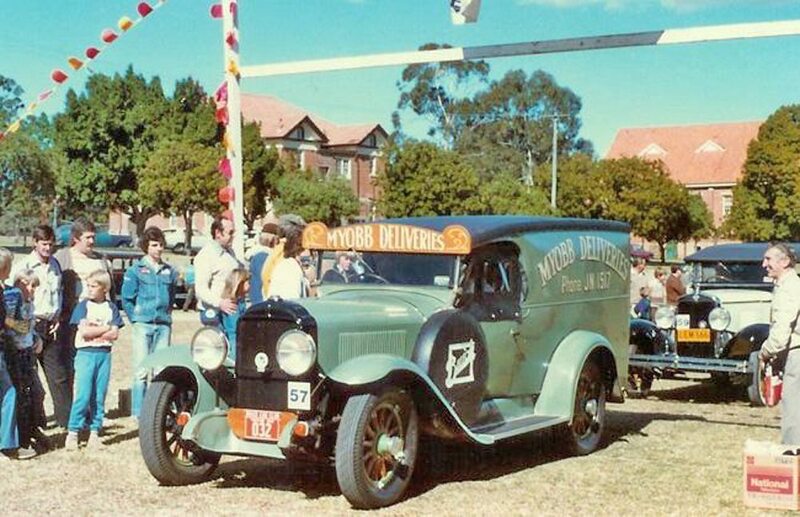 Then we sold it to a guy who took it back to the Mid North Coast where he again put it into commercial service as a butchers delivery vehicle. 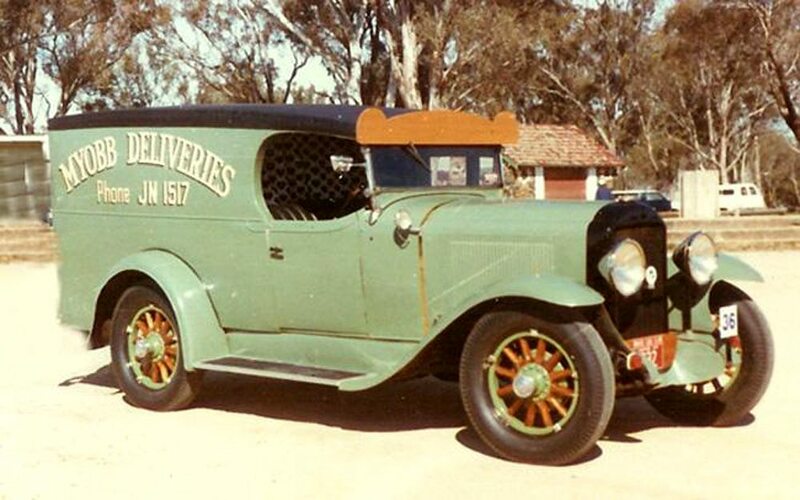 Later it became a mobile bill board for a local restaurant. As far as we know it is still in the mid-north coast area. 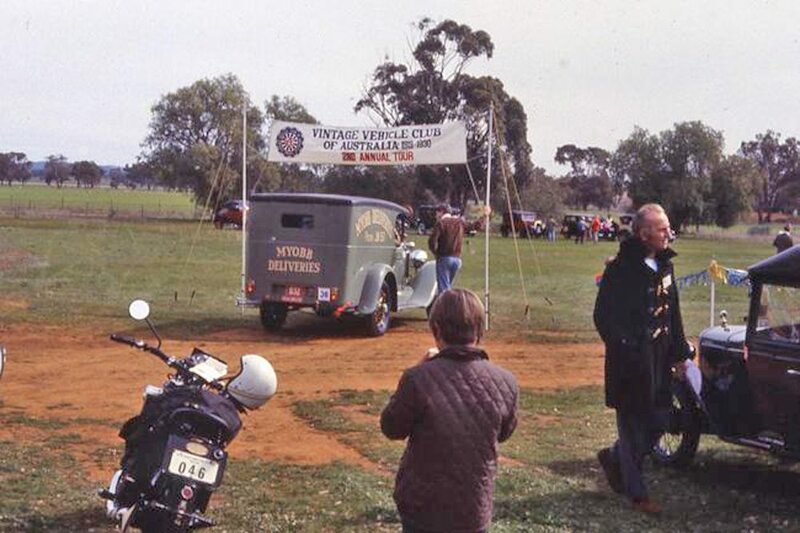 Webmaster’s note: MYOBB also became a feature on early VCCA rallies to western parts of the state. 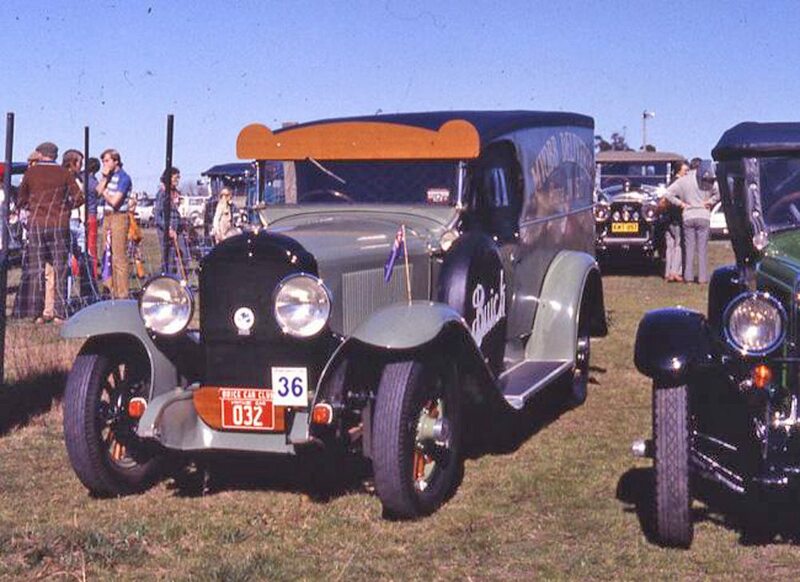 I remember well on a lonely, but good, section of road somewhere beyond West Wylong, motoring sedately along in my 1925 Buick tourer at about 60mph, flat out, and being passed by MYOBB only to have to slow rapidly as vision was lost in the cloud of smoke. A little further down the road MYOBB needed a change of badly oiled up spark plugs.